It’s not uncommon to see a shiny mouse, decked out with some overly feminine design. However, there is rarely a mouse seen that uses decals that are just cool as opposed to pretty. Well this pirate mouse will help you on your way to any devious planning. The seemingly evil mouse would also be a great tool to pwn noobs and leave angry comments on YouTube or your blog of choice. Want to do your bit in keeping the earth green while decorating your home? Well, there are many ways to do so, including solar-powered fairy lights, solar-powered lawnmowers and the like, and today we have yet another idea for you to consider – the Firewinder. Let’s face it, any product named like it will definitely be interesting to look at, and the Firewinder certainly doesn’t come up short when it comes to looking cool! 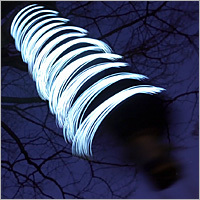 This decorative outdoor light is able to visualize the wind’s energy, turning just about any breeze into light to give your garden a lovely glowing ambience. Shred Easy is a name that’s pretty much self-explanatory – it specializes in churning out shredders that are an important fixture at any office, gobbling up important information and making sure that said document suffers a similar fate as Humpty Dumpty, where nobody who takes a look at the post-shredding handiwork will be able to piece together the original. This time round, Shred Easy has unveiled yet another member to its range of mobile shredding devices known as the Urban Shredder. It is tipped that the Urban Shredder will be a common sight in city centers sometime in the near future throughout the UK from 23rd November onwards, offering on-site shredding services. 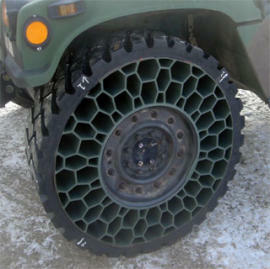 Several of the many upgrades that Humvees are getting in Iraq to protect against ambush include thicker armor plating and new honeycomb tires which are bullet proof and will keep the humvee rolling when it’s been ambushed in a firefight or even an I.E.D. What’s the secret? It doesn’t use air. I suppose there isn’t a lot of originality in creating new gadgets these days, as some of the newest gadgets are a combination of other gadgets. 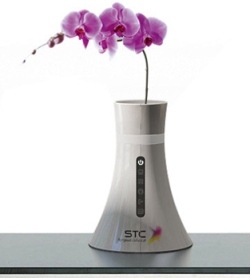 Today’s interesting gadget combination is a wireless router with something completely non-technical, a flowerpot. Some of you might be thinking that this device is not really very interesting. After all, you could just buy a wireless router and not risk the water damage that could happen when you spill it, for example. However, I think we are getting to the point where every home has a wireless router. So why not make one that practical as well as practical. Okay, that wasn’t well said, but I think you see what I mean. You might as well make something technological fit in the home as if it belongs there. This next article is not about a gadget per se, but more about people’s greedy tendency to rush for cheap gadgets. I’m sure all of you are aware of the unofficial holiday of Black Friday. This is the day after Thanksgiving, where Americans discover that they are not as thankful as the previous day and must crowd retail outlets in order to get “doorbuster” items at rock-bottom prices. This is so they can give them away as gifts, of course. Unfortunately, this tradition has gone too far. I have recently learned that a Wal-Mart worker was trampled to death as several shoppers burst through the doors. The scene of this crime is in Valley Stream on Long Island, where four other people were injured, including a pregnant woman. Like many of you, I own a laptop that means a lot to me. Since I am a writer, I make my living by it. However, even those that don’t live by the laptop still have a lot of personal information on it. Especially in the age where no one really wants to use passwords, and they come up automatically as soon as you go to your favorite site, which is usually bookmarked! Yes, getting your laptop stolen is an open door to identity theft. 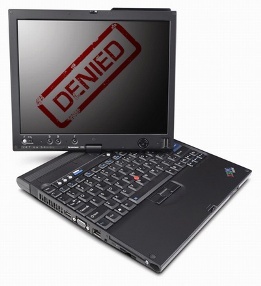 Fortunately, new Lenovo ThinkPads have a little security system built in. Once the user has discovered that his or her laptop is stolen, he or she can enter a text message that will lock down the laptop. How does this work? You use a special text message that only the laptop can hear. No, seriously, it is an ordinary text message that works with the broadband connection. So when the thief goes on line to try and steal your account information, he or she will be in total lockdown, baby! 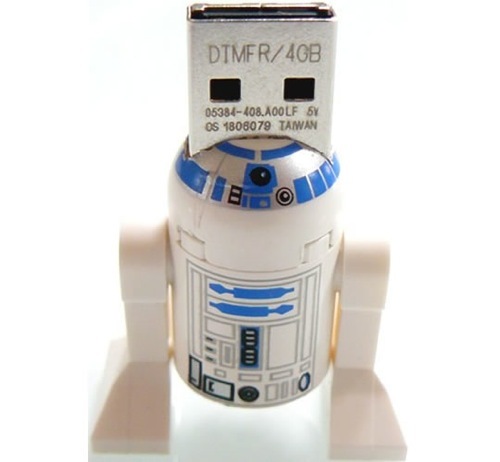 R2-D2 is always a favorite character from Star Wars, so it’s no surprise to find that someone has created an R2-D2 flash drive. This one is actually doubly awesome, because it’s a LEGO R2-D2. You can’t get any better than Star Wars and LEGOs. Well this isn’t a registered LEGO product, it’s actually a handmade job. Luckily though, this isn’t an online tutorial for those of us that aren’t so great at doing things like this ourselves.